OLYMPIA, Wash. – The Oly Town Artesians will unveil brand new kits at Well 80 Brewhouse on Saturday and then take on the Lacey Pocket Gophers in a free preseason friendly Thurston County Derby match on Sunday during the 2019 Artesians Kickoff Weekend coming up this weekend, April 13th and 14th. 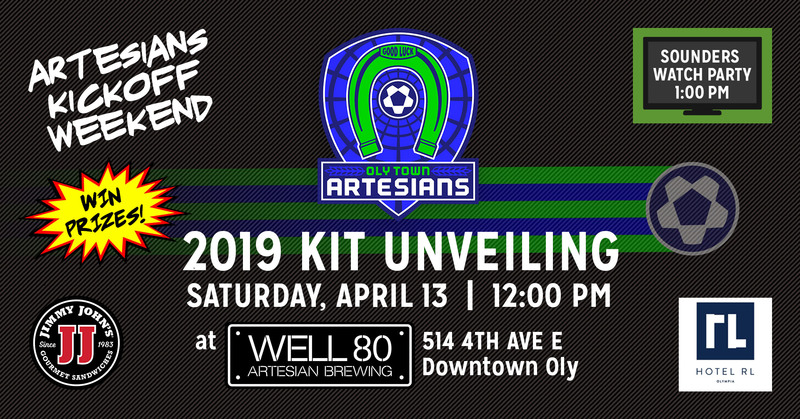 Join the Artesians on Saturday at noon in Downtown Olympia at Well 80 Brewhouse to kick off the 2019 season with the unveiling of their new jerseys and announcements about a new chapter for Oly Town FC. Fans will have the opportunity to meet Artesians players, win prizes, purchase merchandise, get a discount on the new Well Heads membership program, drink Well 80 beer for 25% off, and then stick around for a Seattle Sounders watch party afterwards. 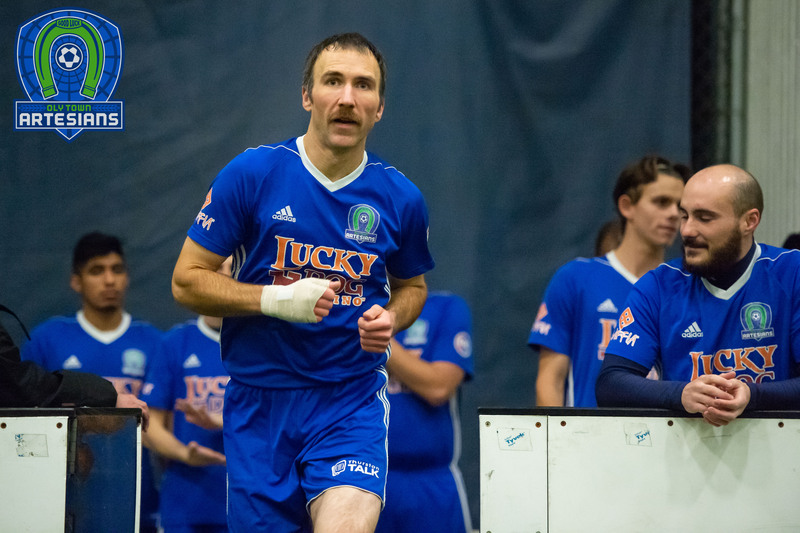 Fresh off the kit unveiling and kick off party, the preseason schedule continues Sunday when the Artesians host the Western Washington Premier League’s Lacey Pocket Gophers in a friendly Thurston County Derby match. First kick at Black Hills High School is set for 2:00 PM. Admission is free, and gates open at 1:00. Cinco De Mayo Raspados, Fruit & More will be on hand with a variety of concessions and there will be games and prizes throughout the game. 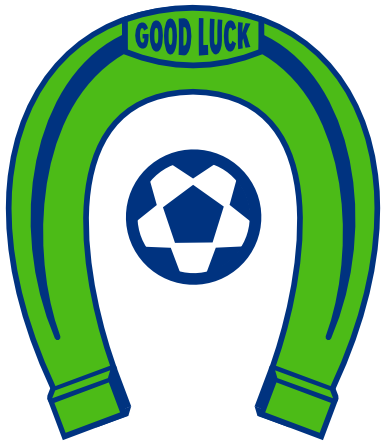 The Artesians’ Evergreen Premier League season opens on Saturday, May 4th when they face the Seattle Stars. First kick at Black Hills High School against the defending EPLWA runners-up is at 6:00 PM. Tickets are on sale now and are just $8 for adults, $5 for seniors, military and kids 5-12 years-old. Purchase your tickets now for this and all Artesians’ regular season games by visiting www.olytownfc.com/tickets. 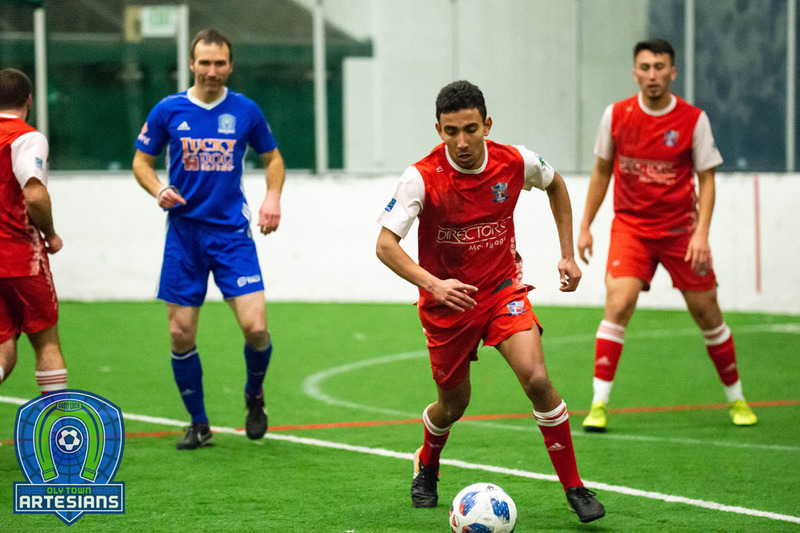 ABOUT THE OLY TOWN ARTESIANS: Founded in 2014, “Olympia’s Soccer Club” features top talent from Thurston County high schools and colleges and is entering their third season in Washington’s elite men’s semi-professional league, the Evergreen Premier League. Alumni includes current Detroit City FC midfielder Willie Spurr and Oregon State goalkeeper Evan Munn. 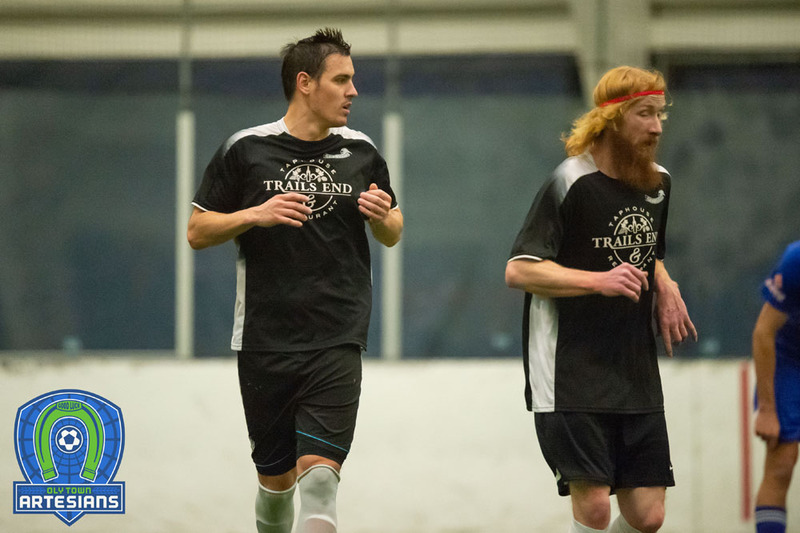 The Artesians also compete in the Western Indoor Soccer League during the winter.